What is T9 Predictive Text? The acronym T9 stands for Text on 9 keys. T9 "predictive texting" is a tool used primarily on non-smartphones (those with just a nine-key keyboard similar to a telephone) to allow users to text more quickly and easily. If you now have a smartphone with a full keyboard, do you remember when you tried to send an SMS message on your old clamshell phone? It was T9 that made composing messages on a tiny device possible, bringing text messaging and email to mobile devices in a way that was never effective before. True — most cellphone users now have smartphones (A Pew Research study reports that, as of 2015, 77 percent of U.S. adults own a smartphone as opposed to just 18 percent who own a cell phone that is not a smartphone). But the small size of the keyboard on smartphones can still make it difficult to compose messages, so predictive text (not just T9 predictive text) is still important. Anyone who has a nine-key keyboard cellphone will find T9 a critical tool. But even some smartphone users choose to take advantage of it through the various Android or iPhone apps that add a T9 keyboard to a device. These users appreciate the larger, nine-digit grid and often have developed a level of comfort with the T9 keyboard on previous phones so that they find texting is faster when using it. But, while T9 pioneered the idea of predictive text, it's not just for T9 keyboards. Smartphones with full keyboards usually make use of some kind of predictive text, even if it's not T9-specific. Consider the need to write the word "good": You would start out with the "4" to get "g, but what about the two "o"s? To get "o", you would need to tape the "6" three times, then three more times for the second "o": Ouch. With T9 enabled, you need to tap each number only once per letter: "4663". This is because T9 "learns" based on user experiences and stores commonly-used words in its predictive dictionary. T9 is a patented technology that was originally developed by Martin King and other inventors at Tegic Communications, which is now part of Nuance Communications. T9 is designed to get smarter, based on the words entered by the user. When certain numbers are entered, T9 looks up words in its fast-access dictionary. When a numerical sequence could yield various words, T9 displays the word most commonly entered by the user. If a new word is typed that’s not in the T9 dictionary, the software adds it to its predictive database so it will be displayed next time. While T9 can learn based on user experiences, it doesn’t always correctly guess the word you intend. For example, “4663” could also spell “hood,” “home” and “gone.” When multiple words can be created by the same numeric sequence, they are called textonyms. Some versions of T9 have smart punctuation. This allows the user to add word punctuation (i.e. the apostrophe in “didn’t”) and sentence punctuation (i.e. a period at the end of a sentence) using the “1” key. T9 can also learn word pairs that you use often to predict the next word. For example, T9 could guess you’re going to type “home” after “go” if you use “go home” often. 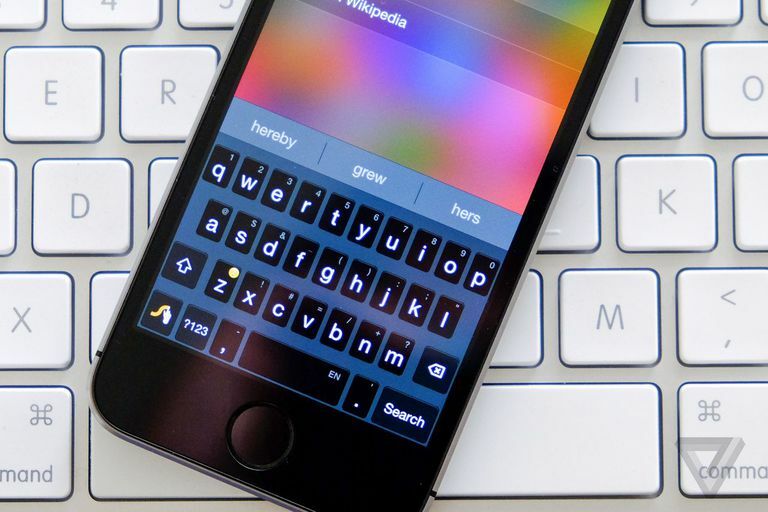 Smartphones continue to use predictive text, although it is usually used on full keyboards rather than T9 keyboards. Also called auto-correct on smartphones, predictive text is the source of many hilarious mistakes and has generated hundreds of posts and websites devoted to some of its more egregious errors. Smartphone owners who do wish to go back to the (perceived) simpler days of the T9 keyboard can install one of a number of apps. On Android, consider Perfect Keyboard or A Keyboard. On iOS devices, try Type 9. Perhaps T9 texting and emails will come back into vogue, similar to the return of vinyl turntables: many users still advocate their ease of use, simplicity, and speed.